We are a leading Manufacturer of bosch ghp 5-13 c professional high-pressure washer, rotomac car washer 150bar (coming soon), bosch aquatak 125 high pressure washer, high pressure washers quadro series, rotomac car wash 150 and rotomac car wash 200 from Bengaluru, India. Before use, check that the unit and operating equipment are in perfect condition and are safe to operate. Do not use the unit if it is not in perfect condition. Do not direct the jet against yourself or others in order to clean clothes or footwear. den to operate the unit in potentially explosive locations. at all times. Do not operate from a ladder. Take care when using the machine on balconies or other raised areas ensuring that you can see any edges at all times. instructions of the detergent manufacturers. All current-conducting components in the working area must be protected against splashed water. The gun trigger must not be jammed in position “ON” during operation. Wear suitable protective clothing to protect against splash water. Do not use the machine in reach of persons, unless these are also wearing protec-tive clothing. If necessary wear personal protective equipment (PPE) e. g. safety goggles,breathing protection etc to protect against water, particles and/or aerosols sprayed back from parts. 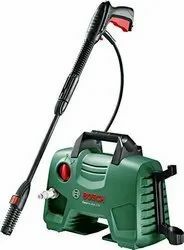 During use of high pressure cleaners, aerosols may be formed. Inhalation of aerosols can be hazardous to health. High pressure may cause objects to rebound. If necessary wear suitable personnel protective equipment such as safety goggles. the high-pressure jet. The first indication of damage is the discolouration of the tyre. Damaged vehicle tyres/tyre valves are dangerous to life. Materials containing asbestos and other materials which contain substances which are hazardous to your health must not be sprayed. If detergent comes into contact with the eyes, wash immediately with plenty of water and if swallowed contact a doctor immediately. aged water filter shall void the warranty. Metal parts may become hot after prolonged usage, if necessary wear protective gloves. High Pressure Hose: 8mm x 10m. Strong Power Quadrupole Motor with Overload Protection. Commercial & Industrial Grade Brass Cyclinder Ceramic Coated Piston Triplex direct drive pump. Professional trigger gun with safety lock. water inlet hose & accessories. specified voltage and frequency ON/OFF control box. Quick and easy push-fit connections for faster set-up. light cleaning and more demanding tasks through to cleaning especially stubborndirt a broader application range than ever before. Easy, Universal and Advanced classification with individual performance and equipment makes it easier for users to select the perfect tool to meet their requirements. 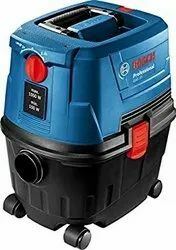 Bosch is replacing the previous Universal class with three quieter, more powerful models that are even easier to operate: The UniversalAquatak 125, Universal Aquatak 130 and UniversalAquatak 135 high-pressure washers. The tools differ from one another in terms of water flow rates of 360 to 410 liters per hour as well as maximum pressures that range from 125 to 135 bar, thereby offering the appropriate cleaning power needed for different applications. Thanks to the rede signed three-in-one spray jet system – now also with a high-pressure pencil jet all tasks can be completed with only one nozzle and with quick adjustment: One turn is enough. 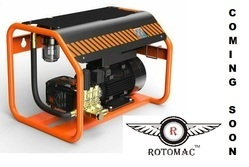 Users can choose from the tried-and-tested fan jet, a rotary jet and the new high-pressure pencil jet for removing particularly stubborn dirt. Furthermore, the scope of delivery now also includes a high-pressure detergent nozzle. This enables the cleaning foam produced to be distributed especially fast over the surface to be cleaned, with users able to carry out cleaning tasks quickly and achieve thorough cleaning results. All the benefits of the new Universal class are immediately apparent and even audible. Thanks to the combination of new pump geometry and a high-pressure nozzle, the tools provide ten percent more cleaning power than their predeces sors and are also significantly quieter. In addition, the high-pressure washers are especially practical and are easy to position wherever they are needed: The extra-long extendable handle and large wheels make light work of transportation. An additional handle on the front of the tool aids lifting and handling. 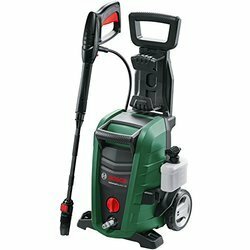 After use, the extendable handle is simply pushed back and the high-pressure washer can be stored away with minimum space requirements. 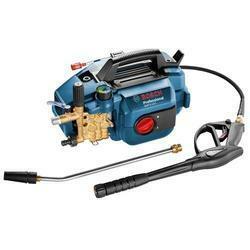 The lance, cleaning gun, hose and supplied accessories are provided on the tool itself. They can be put together in a matter of seconds as and when they are needed thanks to SDS click connections. 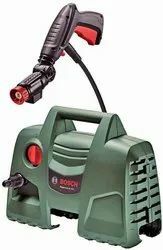 Bosch offers an extensive range of accessories for all models, including various patio-cleaning attachments and a 90-degree nozzle. 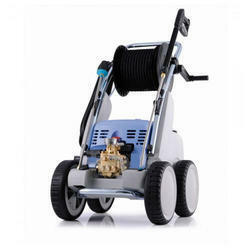 We are offering High-Pressure Washers Quadro Series to our clients. Style name: 125 bar the universal aquatak 125 from Bosch ensures power and versatility for an all round cleaning performance. The quick-connect sds fitting mean the pressure washer is ready to go straight out of the box and a clear view water filter make maintenance easy and provide additional pump protection. The added suction tube make detergent application incredibly easy whilst the folding and extending handle ensure hassle less storage and mobility. Overall, the universal aquatak 125 is a great pressure washer perfect for a large variety of jobs and with a 1500w motor and 125 bar maximum pressure it can tackle almost any job. Looking for Car wash ?